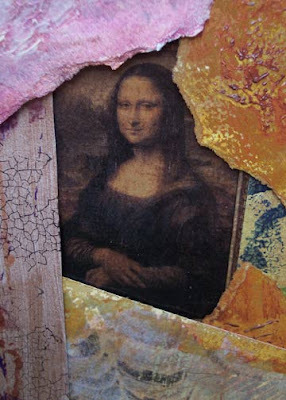 There are so many ways to transfer images to your collages, altered books, and other mixed media projects. Every artist has favorites, and I thought that I would do a series of tutorials for you on the 7 methods that I like the best. I invite your input and comments during this short series: please share any additional tips that you can think of, your favorite products, your successes and failures. Or send me pictures of your work using transfers! 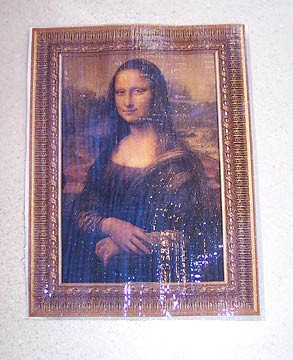 Polymer medium transfer films are fun to use in your work. Since they need to dry overnight, it’s a method that you can’t use when you’re in a hurry. But it’s a great method for preparing batches of images to store for later use. Magazine images and fully saturated printouts work well, and the process will not reverse the image, so writing can be included. Store them between sheets of parchment, freezer, or waxed paper. 1. Liquid polymer medium (the gloss style) works best for this technique. Use a sponge brush and apply 5 thin coats of medium, alternating directions of application and letting each coat dry thoroughly. Be very careful not to bubble the medium if you use a heat gun to speed the drying time. Personally, I don’t recommend it. 2. Let the image dry overnight. This part of the process really can’t be rushed. The medium needs time to absorb the inks and dyes. 3. Soak the image in water. If you’ve used a glossy magazine image, let it soak a good long time. Turn the image over and gently begin to rub away the paper from the back. Hot water will help the paper break down more quickly, but it also softens the image, leading to distortion if you are not careful. (You can use distortion to your advantage if you want though!) Cold water stiffens the polymer film back up. I find that alternating hot and cold works best for me. It will probably take several passes before all the paper has been removed. Once the film dries, you can see where more paper is still clinging. During this part of the process, the image turns milky. Don’t be concerned; it will dry clear again. 4. Use hot water to soften your image if you want to deliberately stretch and distort it now. Let the image dry thoroughly before using it in your work. You can store images for future use as mentioned above. 5. Apply a layer of polymer medium where you wish to position your image, and place the image with the ink side down. Since the image itself is also polymer medium, this creates a complete bond. Work out any trapped air bubbles. You can always stick them with a pin later, but it’s usually easier to deal with it now. If the image is too shiny for your liking, top it with a thin layer of matte medium and let it dry. And I agree wholeheartedly -- Never throw ANYTHING out! There are so many different methods, Carol, and I hope you'll find this one helpful. With packing tape, I've actually found that the inexpensive lightweight kind works better for me! Did you find the post with links to all my transfer tutorials? I'm kinda stressing out on this image transfer project I'm working on in college. 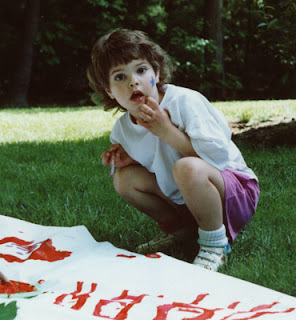 The teacher had us use a gessoed sheet of paper or board as our surface. Then for the actual image transfer, we had our images printed on copy paper, then applied acrylic white paint to the imaged side and placed on our surface. Let dry for a few mins and peel off the copy paper, dip figures in water and rub what copy paper was left behind. I've invested over 100 dollars in this project already and I'm at my wits end ... any advice???? I'd like to use what I have so far, which is: a gessoed sheet of wood and actual photographs I had printed at Walmart (colored and black&white). I guess what I was trying to ask is ... are you talking about using actual photos in the "Polymer Medium Transfer Film Technique"? No, "real" photos have a protective layer that makes this particular technique spotty. You could print out your own images on your color inkjet printer, using either regular copy paper or even photo paper. The photo paper is more expensive and not really necessary. What you want is a really color-saturated image on the thinnest paper you can get. That will allow the acrylic medium to absorb a lot of the colors. Since you already have photos that have been printed out, it might be worth trying a few things with them first before you reprint them all. Try soaking them in water to see if you can break down the outer layer a bit and then try doing the transfer according to this method. You could also try something else: get some wide packing tape or contact paper, preferably the thin kind, not the really thick stuff. 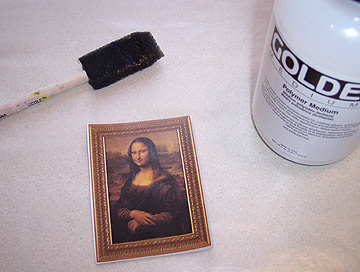 Try lifting the print off your photo (maybe after soaking and drying it?) and if that works, then you can try transferring the lifted inks and dyes on the tape to a base of acrylic medium. After burnishing it in place and letting it dry thoroughly, use a heat gun to try to shrivel up the tape while leaving the image behind. I am a graphic designer who is really new into the world of "real mediums" versus virtual ones. I'm just playing around right now with new stuff and I am SOOO excited I found this.. I've always wondered how it was done.. I am really excited to try all of these out now.